This production is a re-release of the very popular VHS title as a fully authored, 4 chapter DVD. 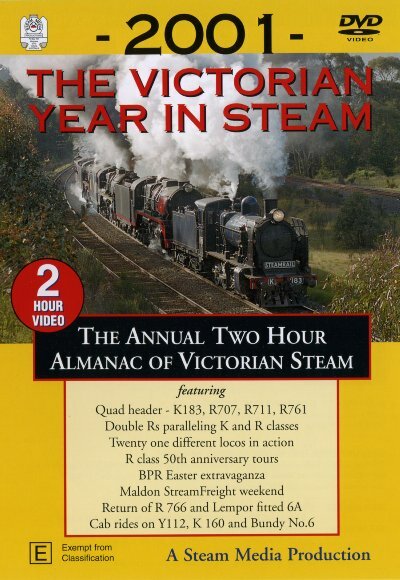 The usual excellent production standard has translated superbly to DVD in this all colour, all digital production which recorded the 2001Victorian rail scene. It is amazing to see how much has changed in just a few years. and much, much more....many think it's our best tape yet! >Tony Marsden, Yuri Sos, Andrew McDonald, Asheleigh Marsden, Bruce Williams, Geoff Hann, Norman Crothers, Colin Pike.